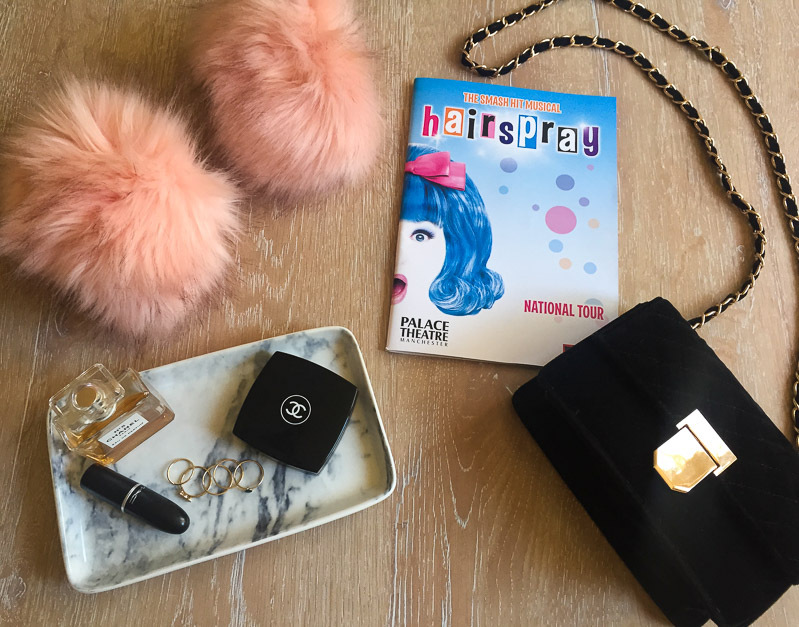 On Friday, I was lucky enough to go and see Hairspray at The Palace Theatre here in Manchester. I was so excited! Firstly because I love the 2007 film, it’s one of my favourites. It came out when it was my 18th birthday, and I got my boyfriend, Lance, to take me to see it. I immediately fell in love and as soon as I got home I bought the soundtrack and played it non-stop. I was dying to see it on stage, then a couple of years later it was announced the West End show was touring and coming to Manchester in 2010. Even better, it was here for my 21st birthday. My mum and dad bought me tickets as a present, but unfortunately soon after I became unwell and disabled with pain. I was so upset I couldn’t go. Because I was confined to bed, I couldn’t really celebrate my 21st. My family came round to visit me, and I got the most amazing cake made. 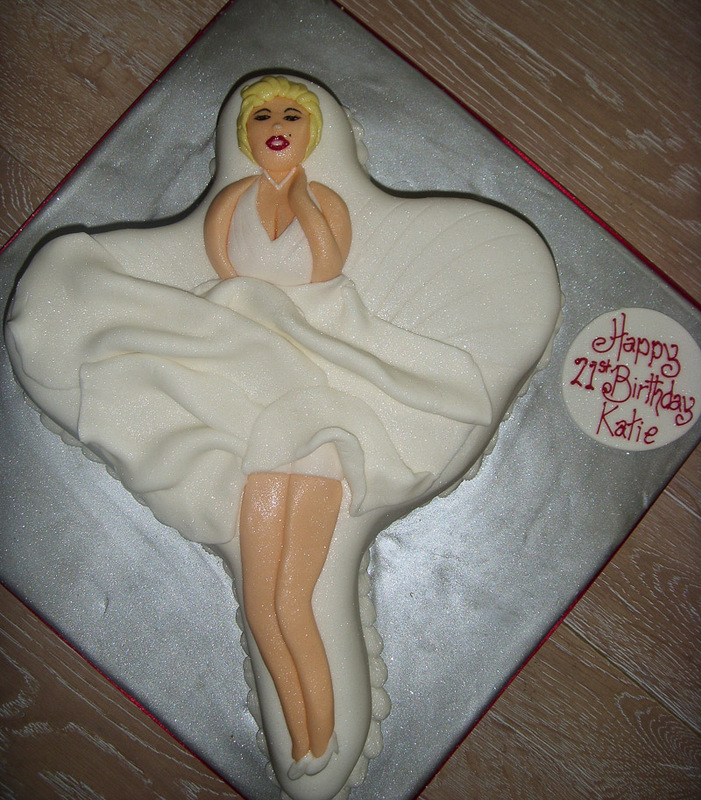 I’m a huge Marilyn Monroe fan, and I knew exactly what cake I wanted for my birthday. I’ve included a photo above, which I’ve gotta say makes me hungry just looking at it, it was far too yummy. Anyway, I spent the whole day in horrendous pain and upset over how I was spending my 21st birthday in bed. So, when I heard Hairspray was coming to Manchester once again I couldn’t wait to finally get to go and see it. I absolutely loved it! I had such a great time and felt so happy that I’m finally well enough to be able to do normal things like this again. Although I did really struggle with the seats in the theatre, they were quite hard and uncomfortable for me. It caused me a lot of pain, especially in my back. But it was worth it, the show and the cast were incredible. For those of you that aren’t familiar with it, Hairspray centres on Tracy Turnblad living in Baltimore in the 1960s. She’s a big girl with big hair whose dream is to sing and dance on her favourite TV show. It’s a musical comedy which deals with the issue of racial integration in America, filled with big musical numbers and catchy songs I can never get out of my head. I wanted to share with you my outfit that I wore. 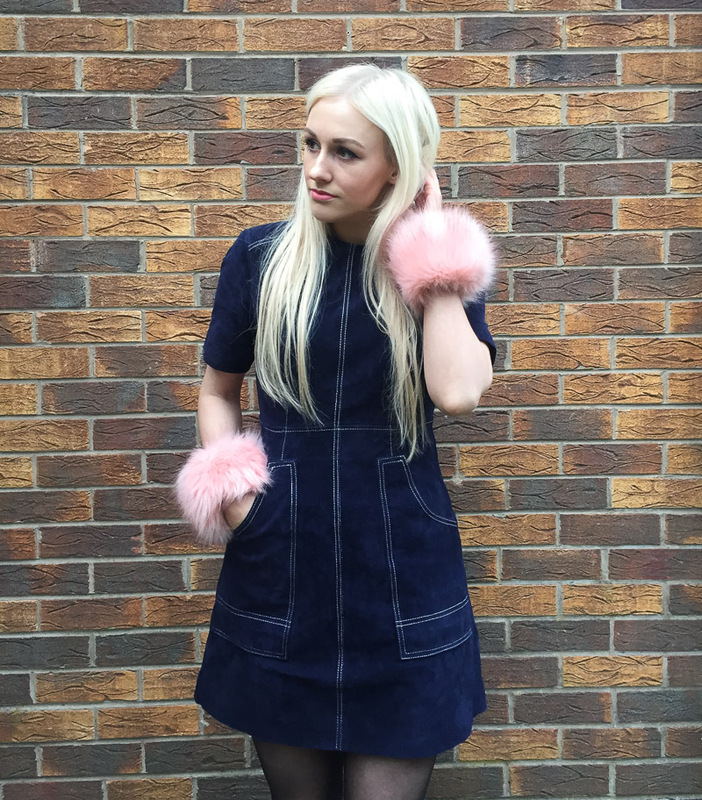 I got this navy suede dress from Asos a couple of months ago. It was love at first sight. It’s got contrast white top stitching which just made me love it even more. 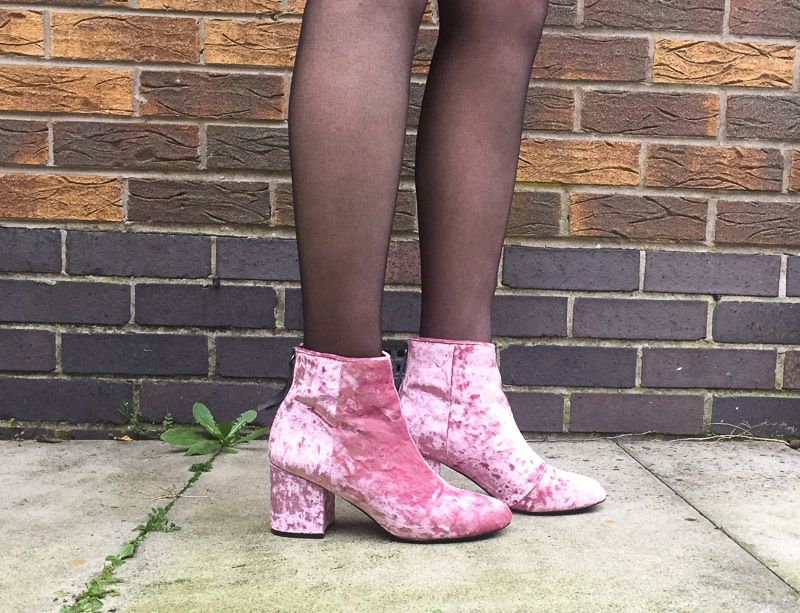 These baby pink crushed velvet boots are my literal boot dream. Being a girly girl, pink is my favourite colour, and I’m all about pink everything. Although for some reason my wardrobe is seriously lacking in the pink colour department. But it’s a popular colour for A/W15, much to my happiness. I had seen these beauties in Asos magazine a while back as a preview and was checking constantly for them to launch online. They are just too beautiful. I knew I wanted to wear them to Hairspray and planned my outfit around them. 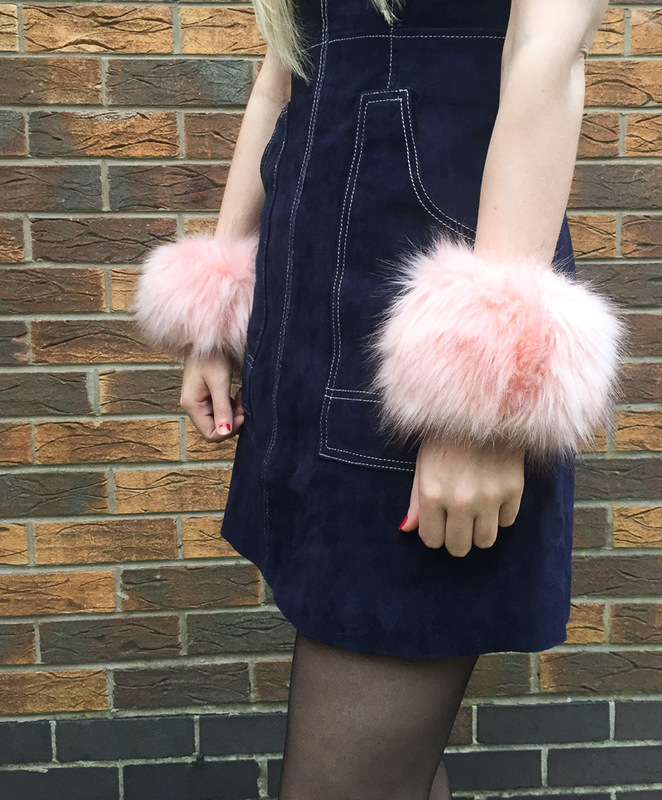 The pink faux fur cuffs are from the Charli XCX for Boohoo collection that launched on the 26th October. If you’re anything like me and have a penchant for nineties fashion you have to check it out if you haven’t yet. I’m a huge fan of Charli XCX, her music, what she stands for, and most of all her style. Which is why I was very excited when this collection was announced. When the promo images started to come out and I saw all the furry cuffs, I was in accessories heaven. They’re exactly my kind of thing. I wore the baby pink ones to match my boots, but I also got them in a few other colours because I love them way too much, and for £8 I couldn’t resist. I’m sure you’ll see the others in outfits posts and Instagram pics very soon. My username is @katie_ainscough if you’d like to follow me.